I know its only us Americans who are poised to celebrate a day of thanksgiving later this month, but may I suggest that the 466 people on Qantas Flight 32 - whatever nationality they are - express their gratitude to the Almighty for the bullets they dodged two weeks ago? The coulda-woulda-shouldas of this near-calamity are so great that the happy landing is getting the kind of scrutiny usually reserved for disasters. That's because this is the mother of all close-calls. Not only were an extraordinarily large number of people in jeopardy in the uncontained failure of the airplane's Rolls Royce Trent 900 engine, but the concern with the A380 since its days on the drawing board has always been the potential for record-breaking loss of life in the event of a crash. Consider this; an A380 on order for Air Austral will carry 840 passengers. But back to the present, the process of stripping down the Qantas A380 that made an emergency return to Singapore's Changi airport on November 4, has made significant progress as you can see in this photo from the Australian Transportation Safety Board. The board is reporting that the massive number 2 engine was removed from the wing and is being progressively dismantled at an engine shop in Singapore. But that's not all. "A number of wing and body fairing panels have been removed from the aircraft to facilitate the examination of the underlying structure and systems affected by the engine failure," the board announced on Wednesday. Now here we are, barely beyond 3 years past the first passenger flight of the A380 and the question being asked is whether the damage wrought by the spinning-out-of-control number 2 engine is so great that Qantas will have to write off the $300 million plane. There's a huge emotional cost to the term "hull loss". Nobody wants that less than Airbus, which spent roughly $14 billion developing the A380 and has firm orders to build 234 of them. But the list of items that went wrong on the airplane is making lots of folks queasy, and I'm not talking about the passengers here. Airline executives and financiers, along with Rolls Royce and Airbus engineers have been sleeping fitfully for the past 14 days. 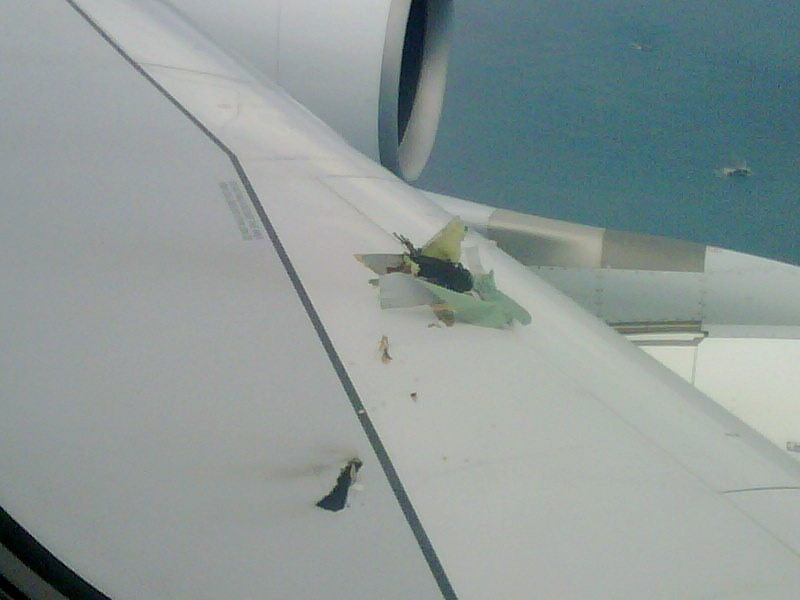 The graphic illustration of the damage to the airplane adds weight to the speculation of folks who have been basing their opinions on passenger videos, news clips and publicly available images of the airplane. My guess is that Ben's blog stats are going to go stratospheric from the clicks of armchair investigators and aviation enthusiasts. In the meantime, the Australian newspaper Herald Sun published a list of airplane failures including the loss of one of two hydraulic systems, the loss of control of the left outboard engine, fuel leaks in the left wing tanks and loss of fire control in that same area. The article also suggests that fuel from a tail tank could not be transferred forward. Whether this caused the pilots to moderate how much fuel they dumped from the wings, or if they even had control over the wing tanks isn't known. A Boeing 747 pilot explained the problem to me recently by saying, "The big deal is if the tail tank won't transfer, you have a CG problem. You have to keep fuel in the most-forward fuel tank," he explained, to balance the aft weight. Clearly the men in the cockpit of Qantas Flight 32 were in a dilemma; land heavy and risk not being able to stop the plane in time, or land tail heavy and risk tank rupture and subsequent fire. Where's the good choice there? Dealing with the weight distribution was far from their only problem. My 747-flying friend added, "multiple failures get confusing very fast. You have one or two components fail which cause other components to fail. You've got these messages coming up. If you get a couple of those multiple messages its hard to sort out what the real problem is among a blizzard." Captain Richard de Crespigny, first officer Matt Hicks and Mark Johnson are to be hailed for finding their way through the storm of malfunctions and bringing that airplane to a safe landing in Singapore. Now its the investigators who find themselves with a blizzard of information. They can be thankful for that. More information should be better than less. If they are conscientious, if they sort it out, and make the right decisions about what needs to be fixed on the engine and on the airplane, air travelers will have something else to be thankful for. the main problem with the tail tank is that you can get out of the CG envelope and that means your flight controls are not sufficient to control the airplane in flight anymore. In other terms you loose the controlability of the plane slowly.
" .. - express their gratitude to the Almighty for the bullets they dodged two weeks ago? " God only sends you into wrongfull wars. What about sending cookies to the Airbus workforce? Luck comes for the well prepared! 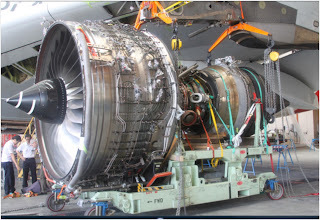 Nobody has said anything about why RR engines had problems but GE/Pratt and Whitney do not. 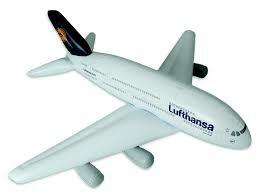 As I fly often on the Emerites A380 with GE engines I am curious what you can say about this subject.